Imagine this: 1656 Delhi. Muzaffar Jang – an aristocrat with friends in low places. He has just finished solving a case that involved two Englishmen and the Imperial Exchequer. All he wants to do is take it easy and here come more cases waiting for him to be solved. Muzaffar Jang also happens to be a detective – a part-time one but a detective nonetheless. The series of mysteries in this collection are something else – from the elephant that killed his mahout to the murder of an artist, these ten stories will have you wanting more. I am always biased to good mystery stories and when they came with an appropriate historical background, it makes it even better. Madhulika Liddle’s writing has definitely come of age from her first book. The writing is crisp and taut, just the way a good mystery tale should be told. At the same time, the essence of the book is not lost. Delhi in 1656 must have been very difficult to conjure for any writer. Historical fiction is probably easier to write when supported by some facts as a map. In the absence of such a map, it becomes a task to invent characters and fit them in situations and yet exhilarating from the author’s point of view. There were times I wondered and wanted the book to be a novel, only because I wanted to see where it would go and what turn it would take, more so for the last story, “The Woman who Vanished” as it is my personal favourite from the collection. The Eighth Guest and Other Muzaffar Jang Mysteries still stands as a testimony that Indian writers can write a good mystery. Madhulika Liddle is a writer to watch out for. Read this book and her earlier book, “The Englishman’s Cameo” as well. This entry was posted in Books, Fiction, hachette india, Mystery and tagged delhi, hachette india, historical, madhulika liddle, Muzaffar Jang, mystery, The Eighth Guest on January 31, 2012 by thehungryreader. In the Orchard, the Swallows is a subtle poem to beauty lost, innocence ruined and sometimes what it takes to find your place back in the world. When I received a copy of this book, I was intrigued by the plot and immediately started reading it. When I read books related to a particular territory that is no longer accessible to the general population or is not what it used to be, a cord is struck within me and then it becomes very difficult for me to forget what I have read. In the Orchard, the Swallows is one such book. In the foothills of a mountain range in Northern Pakistan, is a beautiful orchard. Or rather it used to be beautiful. The orchard is now neglected. No one takes care of it as it was once taken care of. Miles away, a young man has been released from prison. It is his story. His body – tortured and beaten tells the story of fifteen years of brutality. His family – now lost and the once love of his life, those are his stories to tell. He lands up at a stranger’s house and his story begins – of what once was and what is right now. Peter Hobbs has created something else with this book. I had never heard of him before reading this book. I did not know who he was but after reading In the Orchard, the Swallows, I want to read more of what he has written or what he will. The beauty of the prose is an experience in itself – the descriptions of the lonely pomegranates hanging in the orchard, now no more there, will make your heartbreak in an instant. The writing could not have been simpler and evocative with the details. The emotions are in place and tug at the reader’s vulnerable heart. 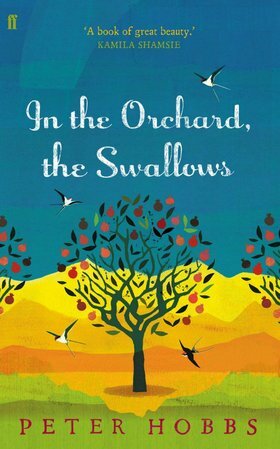 In the Orchard, the Swallows is a book that you should not miss out on reading this year. It has all the elements that make a book memorable, without making it pretentious or phony. A read that I will recommend to everyone. This entry was posted in Books, Faber and Faber, Literary Fiction, Review and tagged faber and faber, In the Orchard The Swallows, literary fiction, Northern Pakistan, Peter Hobbs on January 29, 2012 by thehungryreader. It isn’t easy to write by mixing almost two genres together. It takes not only gumption but also some good writing skill. When I first started reading, “The Reluctant Detective” I did not think much of it. I mean come to think of it, here is an almost bored housewife (well not really bored) and she has the habit of poking her nose in other people’s affairs (but obviously – as the cliché would seem), till dead bodies turn up in quick succession around her and how she teams up with a detective friend to solve them. So that is the plot in a nutshell. As I however read further (give it beyond the first three chapters), I was taken in into the book. Kay’s (Her name is Kanan Mehra) exaggerations and little vanities add the much needed humour in this one. Runa is the main detective, while it is Kay who happens to stumble on most clues as they go along solving the crime/s. What I found most fascinating in the entire book, was how Ms. Manral has managed to create a character (interesting one at that you might note) out of the ordinary, whose major problem is controlling her cellulite and being first in queue at the next sale. Kay’s character is well-etched and for one most housewives would be able to relate to her, or at least some parts of who she is. The humour in the book doesn’t let the mystery element get ignored and vice-versa. The book strings all elements in place – humour, mystery and the events of ordinary day-to-day living. I liked the writing. It is to the point and does not delve too much into descriptions, which makes for a light Sunday read. The Reluctant Detective is a read that I would recommend to almost everyone. It is fast, well paced and will keep you glued till you finish it. 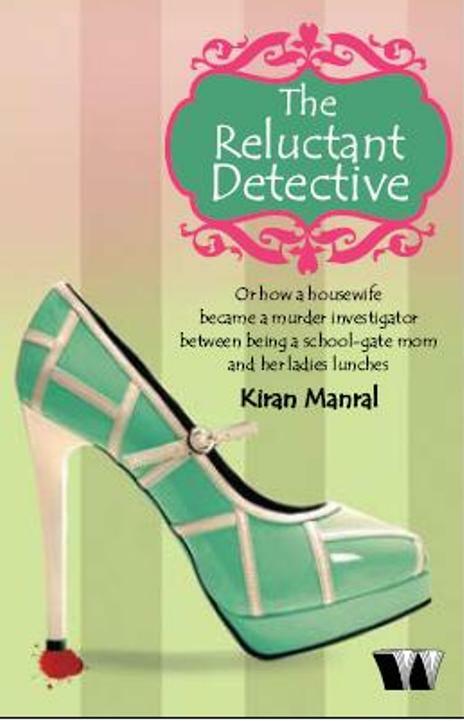 This entry was posted in Books, Fiction, humour, Mystery, Review, Westland Books and tagged Bombay, detective, Housewife, Kiran Manral, mystery, The Reluctant Detective, westland books on January 27, 2012 by thehungryreader. The Wednesday Soul is nothing like you have read before. It is funny, sarcastic, doesn’t-try-too-hard, simply written, and a whole lot of afterlife. Yes! You heard that right. 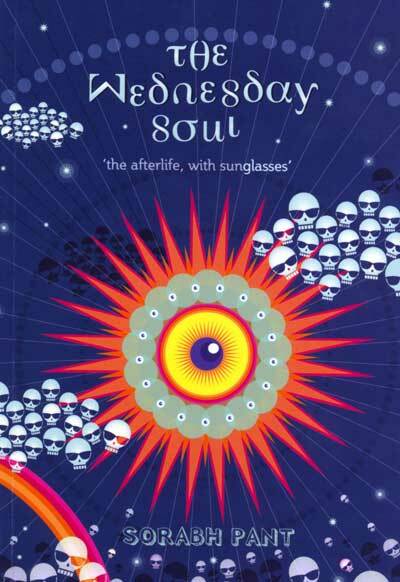 The book is about the afterlife, or as the tag line goes, “the afterlife, with sunglasses”. The protagonist, Nyra Dubey, dies in the first chapter and that’s where the story takes off. Nyra – the infamous vigilante, the Delhiite who knows how to deal with its men, is reduced to yet another corpse. Of course, she doesn’t want that. She wants vengeance and from none other than Death’s masters for the love she has had to leave behind on planet Earth. Things lead to more things and there are creatures’ unknown, mighty eagles and bad puns that have the power to kill. The plot has never been heard of. It is too experimental, some might say. I loved the book. The writing could not have been simpler and Pant knows how to inject humour in every page. Death to him is not a tragedy; it is just another topic that can be written about keeping funny in mind. The writing is taut and perfect. The right amount of sarcasm and sometimes somewhere an emotion will take you by surprise. Sorabh Pant knows his audience and also what they expect out of him. A sequel is in the offing so I am definitely most excited about it, as somewhere some characters had too short a span in this one and I for one wanted to know more about them. Sample this: “Living in India you automatically earn an honorary Ph. D. in Queues. You study them closely as you wait for licenses, liquor, movies, and brides i.e. shaadi.com” See what I mean! This is how he writes. I would definitely recommend, “The Wednesday Soul” to one and all. This entry was posted in Books, Fiction, humour, Review, Westland Books and tagged Afterlife, comic, humour, Sorabh Pant, The Wednesday Soul, westland books on January 24, 2012 by thehungryreader. Writing about relationships is not an easy task. The writing has to come from a personal place, known and sometimes unknown to the writer. While reading Overwinter, I had mixed feelings – sometimes of joy but mostly of sadness and Ratika Kapur, intelligently has managed to evoke these emotions in her reader/s. Overwinter is not an easy book to forget. It has been two days since I have finished it and cannot get it out of my head. Ketaki is your typical urbanite – a well paying job and a life that seems perfect, before the most important man in her life – her maternal aunt Neeta’s husband falls into a coma, almost nearing death. Ketaki blissfully goes on from man to man, in order to hide her pain and wanting some connection with her aunt. Her father’s arrival from New York leads to the wall being broken through a secret long held in the family. The secret then begins to shape the lives of the characters and what end will come out of this story. Overwinter made me see my relationships differently and assess them – because sometimes relationships need to be assessed. Ratika Kapur writes with urgency, almost speeding somewhere and that works for the book. The descriptions and building of the atmosphere is critical to the book, which again the author does justice to in a beautiful manner. Ratika Kapur knows the pulse of what might work considering she used to work for a publishing house before venturing into writing. For me the book worked on the level mainly because of its language. Every word fit every emotion and that matters a lot to me while reading a book. It just shows the skill of a writer, in addition to the plot and the storyline. I have enjoyed reading Overwinter and cannot recommend it enough. This entry was posted in Books, Hachette Book Group, hachette india, Literary Fiction, Review and tagged hachette book group, hachette india, literary fiction, Overwinter, Ratika Kapur on January 10, 2012 by thehungryreader.